London: British employers ramped up their hiring at the fastest pace since 2015 in the three months to January as the labour market defied broader Brexit weakness in the overall economy. The number of people in work surged by 222,000, helping to push the unemployment rate down to its lowest since the start of 1975 at 3.9 per cent, official data showed. The increase in hiring was stronger than all forecasts in a Reuters poll of economists and pushed the proportion of the population in work to an all-time high. The pound rose slightly after the data. The surprising resilience of the labour market and the subsequent rise in wage growth, plus a fall in inflation, are cushioning the Brexit uncertainty for many households, whose spending drives the economy. However, the surge in jobs could reflect nervousness among businesses who have scaled back on investment in equipment, making them more likely to hire workers who can be sacked if the economy sours. An employers group said on Monday that companies were set to cut investment by the most in 10 years in 2019 because of Brexit, even if Prime Minister Theresa May gets a deal to ease the country out of the European Union. “There is continued strength in the labour market but we all know that it is a lagging indicator and we shouldn’t get too carried away,” Commerzbank economist Peter Dixon said. The Bank of England forecasts that Britain’s economy will grow at its slowest rate in a decade this year. Private surveys have suggested employers turned more cautious in February as May struggled to get parliament behind her deal. 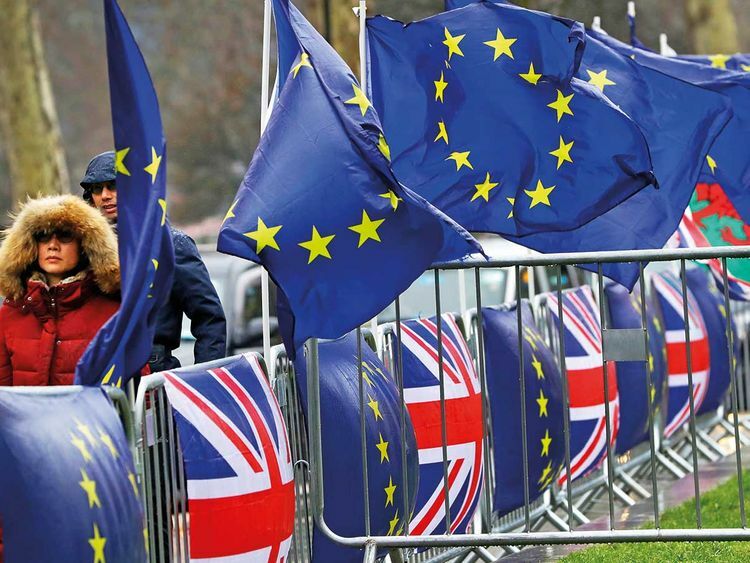 Brexit is now expected to be delayed beyond the scheduled date of March 29. Firms in Britain’s dominant services sector cut staffing at the fastest rate in more than seven years in February, according to a purchasing managers’ survey published two weeks ago. A survey of recruiters also published earlier this month showed employers held off from hiring permanent staff in February. But for now, the strength of the labour market is pushing up the official measurement of wages more quickly. Total earnings, including bonuses, rose by an annual 3.4 per cent in the three months to January, the Office for National Statistics said, stronger than a median forecast of 3.2 per cent in the Reuters poll. Wage growth for the three months to December was revised up slightly to 3.5 per cent, its highest since mid-2008. Average weekly earnings, excluding bonuses, also rose by 3.4 per cent on the year, in line with the Reuters poll. The Bank of England has said it will need to raise interest rates gradually to offset inflation pressures from rising pay, but is expected to keep interest rates on hold at its next policy announcement on Thursday due to Brexit uncertainty. Last month, the BoE forecast wage growth would slow to 3.0 per cent by the end of 2019 as the economy feels the drag of Brexit uncertainty and a global slowdown, then pick up again. The pace of wage rises remains slower than the 4 per cent increases seen before the financial crisis. The ONS released its data before the scheduled 0930 GMT publication time due to an error by the statistics office.